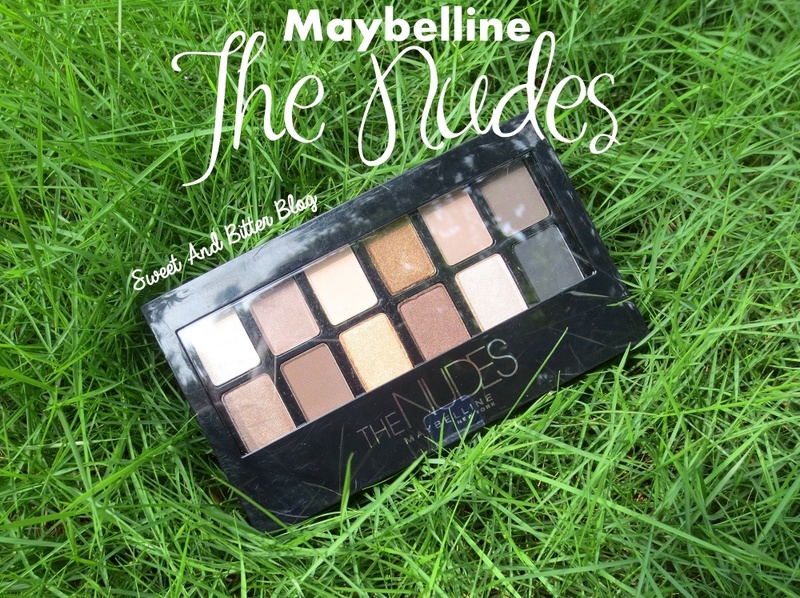 Colors & Texture - Maybelline The N*des palette contains the right mix of shimmery, satin and matte shades. 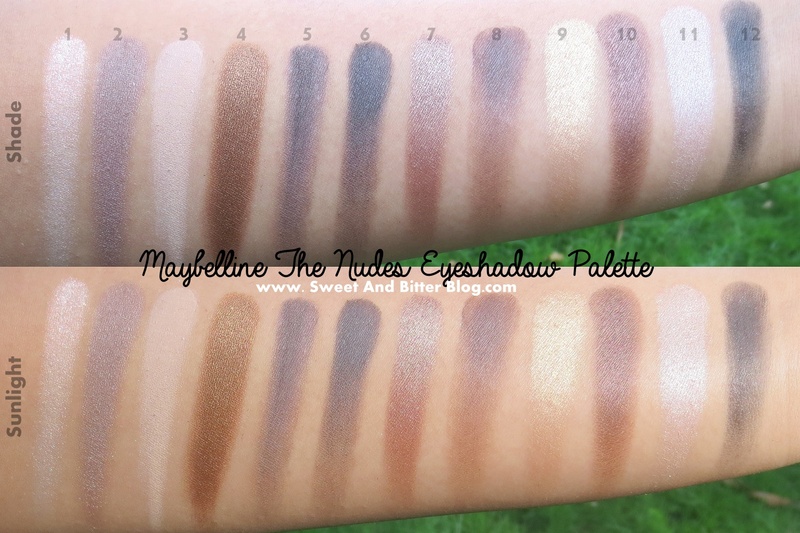 All the shades suitable for warmer and neutral skin tones. All the colors are soft, pigmented and easy to apply. The frosty shades are better in color payoff and texture than the rest. You can even use a single color as wash of color and top it up with eyeliner and kohl. The least pigmented (and kind of disappointing color) is the black on the right bottom corner. The black color is chalky and least pigmented of all. The color on the top left corner has shimmer but still has low color payoff. Packaging – Plastic packaging with transparent case. It comes with a sponge applicator but it is better to avoid that completely. The sponge applicator makes it tough to pack in the colors and hence, I faced major fall out. I completely depend on my Sigma brushes. All the 12 colors are suitable for Indian skin tone and are usable. Moreover, the colors are already arranged in various sets (quads, trios and duos) to guide you. And even if that confuses you, you can use just a single color on lids and blend it outward for just a wash of color and finish it with eyeliner or kohl. 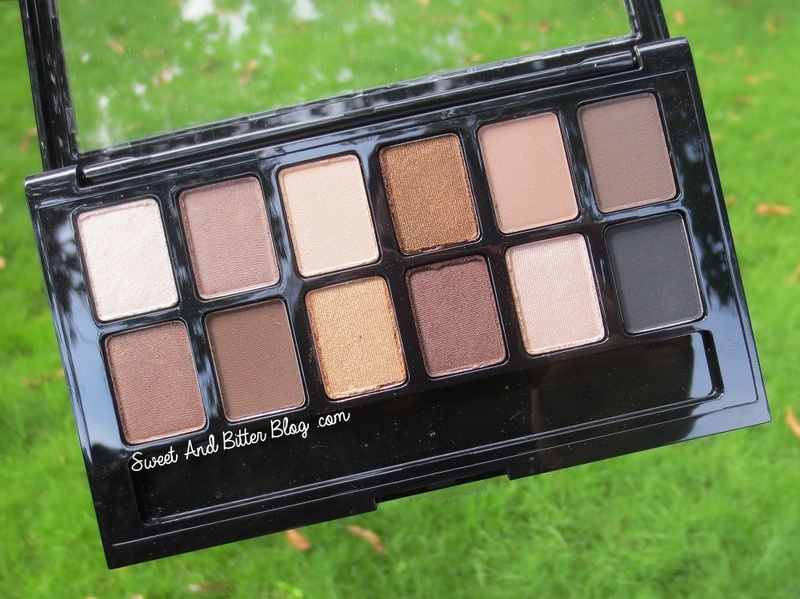 Overall – A decent neutral palette with right mix of shimmery and mattes shades. The colors are suitable for Indian skin tone and various looks can be done with it. Expect two colors, all the colors are butter soft, easy to apply and blend. 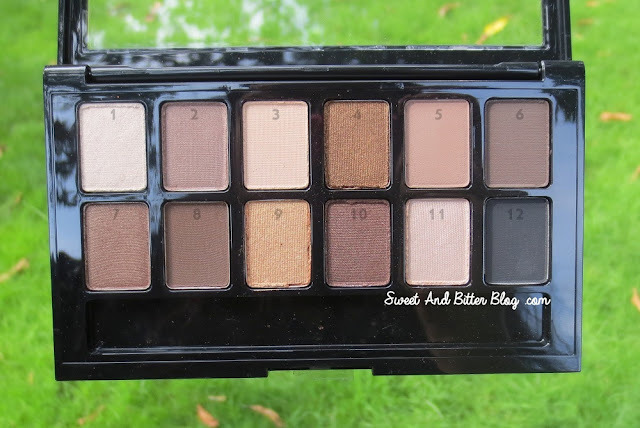 In the end, this is not the best eyeshadow palette that money can buy but it is what money can buy you in India. There are many international durgstore brands like Wet’n’Wild, Sleek or MUA with cheaper and better alternatives. It is better to get their neutral palettes only if you have direct access because even if some are priced low, shipping costs a bomb.